Alcohol Detox Drinks: Do Detoxification Smoothies Work For Alcohol? In recent years, detoxification of the body seems to be all the rage. Even though there are drugs to treat alcoholism, detox drinkables have become very popular because people believe it helps in the detoxification of alcohol. However, there is no scientific evidence to support the claim. Regardless, some nutritionist and doctors express the approval of detox drinks for alcohol as one of the easiest ways to get rid of toxins in the body. Knowing that the first step to treating alcoholism is detoxification stage, how efficient can alcohol detox drinks be? Read further to find out more! What are alcohol detox drinks? How do alcohol detox drinks work? What are the common ingredients in such drinks? Are detoxifying drinks efficient in alcohol detox? What are the risks and dangers of using alcohol detox drinks? Detoxification or detox is a medically supervised and safe method designed to remove and clear toxic substances such as alcohol from the body system. Detox drinks for alcohol is a drinkable liquid recipe that helps the body gets rid of alcohol. 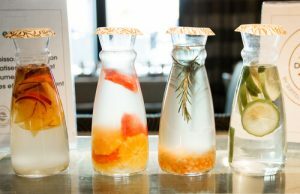 They are also called detox cleansing or cleanse drinks and frequently feature the combination of water, herbs, vegetables, fruits, or other natural ingredients that boost the ability of the body to eliminate toxins. There are tons of different detox alcohol drinks, and they range from commercially manufactured to homemade detox liquids. There are seemingly limitless collections of commercially manufactured detoxifying product. But these drinkables do not provide full detoxification. What detox products do is to mask the toxins so that they are not detected in the bladder. Detoxification products such as drinks are criticized for their unsound scientific bases. In 2009, UK charity, Sense about Science assembled a network of scientists and contacted the manufacturer if 15 products that claim to detoxify. The products ranged from shampoos and smoothies to alcohol detox supplements. When the scientist asked the manufacturers about the evidence of their claims none of could define what detoxification means and also couldn’t name the toxin been expelled. There is no scientific evidence that these products cleanse toxins in the body, so alcohol detox drink and other detoxification products are regarded as a waste of money and time. In the Journal of Human Nutrition and Dietetics, a recent review of detoxifying drinkables and diets shows that no rigorous clinical study has been done to show credible evidence that commercially manufactured detox drinks for alcohol remove toxins. However, the few published studies suffer from a lack of control groups, sampling bias, small sample sizes, and other significant methodological limitations. There are different alcohol detox drink recipes, but not all are created equally. An individual who wants to make homemade detoxifying liquids should use the best ingredients because some could deposit more toxins in the body. The homemade recipes include alcohol detox smoothie, detox water recipe, and detoxifying juice recipes. Detox tea recipes such as apple cider vinegar alcohol detox are also included. Even though several authors and articles claim that recipes of detox drinkables can help get rid of toxins, there is no concrete scientific research and evidence to prove its effectiveness. Detoxification liquids rarely specify the toxins they aim to remove, and there is lacking evidence that the toxins are removed. So, the detoxifying drinks mechanisms of action are unclear. Published research found that the body is capable of detoxing and cleansing itself of toxins through the urine, feces, liver, and sweat. The liver makes toxins harmless and makes sure they are expelled out of the body. Despite the ability of the body to detoxify itself, Cohen M., believes some few chemicals may not be removed easily. Generally, research shows that alcohol detox drinks and diet products remove these compounds. 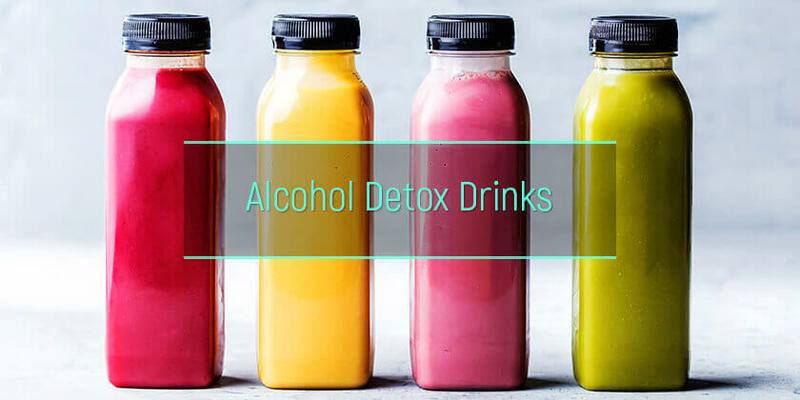 There are some vegetables, fruits, and herbs that are frequently included as part of the ingredients in homemade and commercially manufactured alcohol detox drinks. Each of these ingredients is believed to have their function which ranges from preventing diseases, and boosting the immune system and supporting detoxification. Apple Cider Vinegar – It features acetic acid, probiotic and enzymes which improve the body’s metabolism, digestive system, and fights acid reflux naturally. Lime – it contains antioxidants and vitamin C which help to stimulate the digestive system and promote enzyme activity in the liver. Watermelon – The ingredient offers vitamin A and B, high amount of lycopene, magnesium, and potassium. They prevent chronic disease and also manage hydration level and blood flow in the body. Ginger – It features anti-inflammatory and potent antioxidant agents which serve as a digestive aid that is effective. Aloe Vera Gel – the ingredient features anti-inflammatory and laxative properties that encourage digestive bacteria, normalize PH balance, and boost the immune system. Some people reported feeling more energetic and focused after taking detox drinks for alcohol. But this may simply result from the elimination of alcohol and other unhealthy substances from the drinkables. Also, the liquids may be offering minerals and vitamins that were lacking before. Even though there is little to no research done on a human to proof the efficiency of detoxifying drinkables, most of the ingredients used in the detox drinks for alcohol has been found to be a liver detoxifier. Some of the ingredients like milk thistle can help block alcohol absorption in the liver and remove toxins in the body. Another study shows that some of the ingredients in alcohol detox drinks reduce the stomach lining inflammation that results from the consumption of alcohol. Despite the claims of the studies, the detox drinkables cannot replace medically-assisted alcohol detoxification. Medically assisted detoxification involves supervision of individual alcoholics by using substitute drugs, and alcohol detox timeline can vary depending on the circumstances of an individual. Also, a medically-assisted detox that is successful will help deal with alcohol detox symptoms, and this is one of the gaps detox liquids cannot bridge. It results in health risk to teens, older adults, teens or children, pregnant or nursing woman and people with severe health conditions such as kidney or heart disease, and diabetes. More extreme use of detox drinks for alcohol can lead to serious complications such as diarrhea. Some of the ingredients are likely to cause allergies. How Can An Alcoholic Safely Detox? Many people consider detox from alcohol at home because there is no place more controlled, safe feeling, and comfortable than home. Typically, medical professionals don’t recommend the approach because there can be a higher risk of relapse and greater risk of personal injury. Rehab for alcoholism can help an alcoholic detox safely because they offer medical detoxification programs that ensure people withdrawing from alcohol are kept as safe as possible as the toxins are removed.